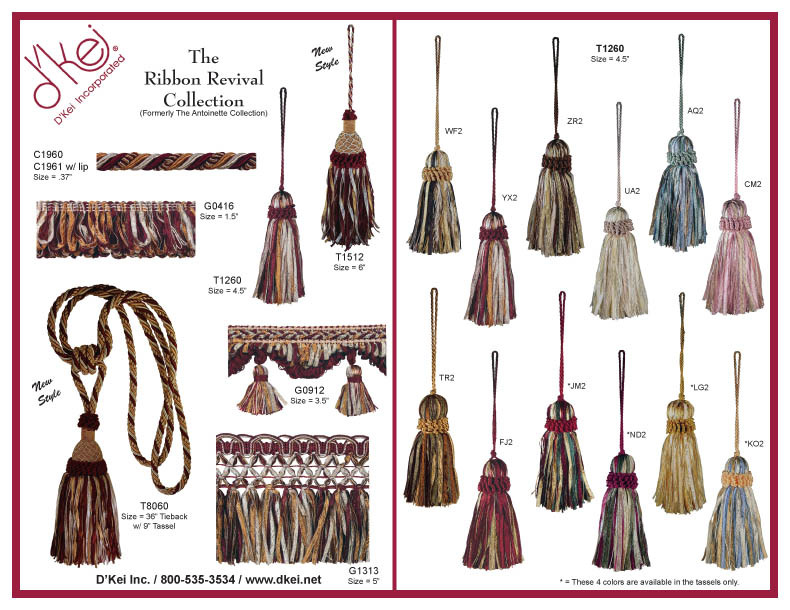 D’Kei’s Ribbon Revival Collection is an ever-popular favorite collection of ribbon trimmings available in 12 beautiful color ways. 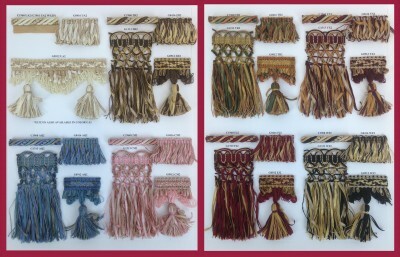 This collection features ribbon tassel fringe, ribbon loop fringe, long ribbon cut fringe with a wide, intricate head creating a dramatic effect as drapery trim. 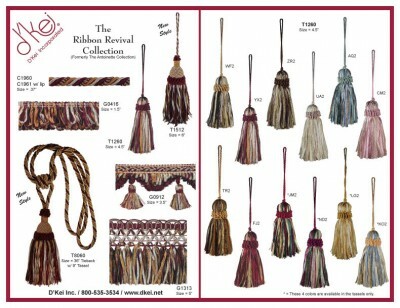 The collection also offers decorative cording, ribbon designer key tassels, ribbon pillow tassels and ribbon tiebacks to tie it all together.